For the 2nd Production of our 82nd Season, we brought back an old tradition of Janesville Little Theatre. With an evening on One Act Plays. 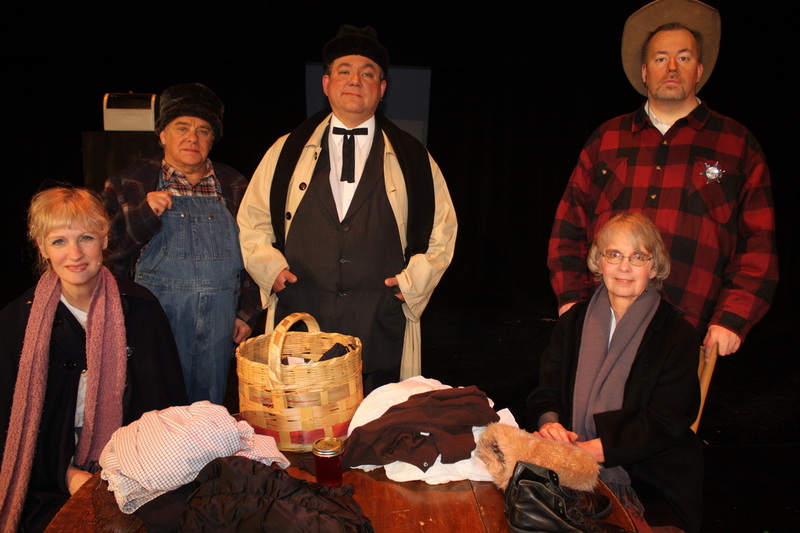 Janesville Little Theatre used to use one act plays as a way to develop the talents of young directors. 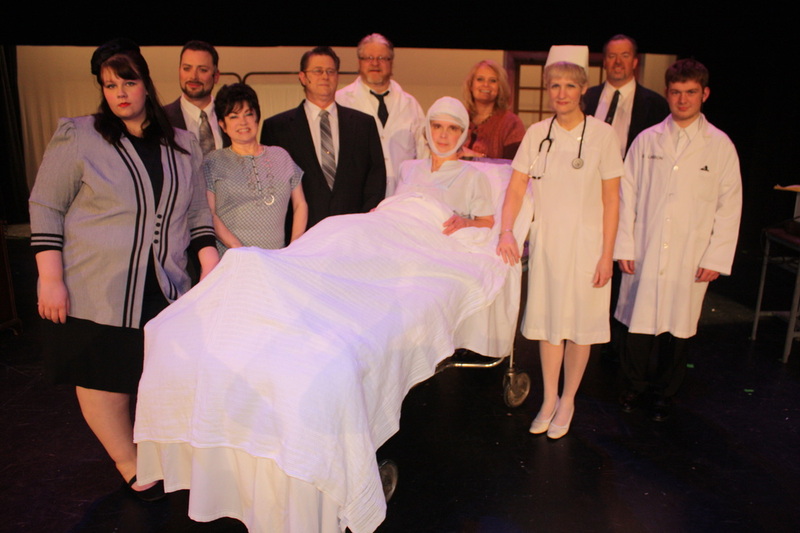 This time a mixture of veteran and new-comer directors staged three classic one act plays. Misty Lantz and Susan McCumber directed Agatha Christie's The Patient, Jim Thomas directed Susan Gladspel's Triffles, and Charles P. Niles directed Frank Tomkins' Sham. Susan McCumber, Melanie Morgan, Paul Cassler, Ben Rucker. Agatha Christie's The Patient tells the story wealthy woman who was severely injured in a suspicious fall while convalescing at her home. The accident has left her paralyzed and unable to speak. While her family squabbles over her fortune, her Doctor devises an experiment to determine who, if anyone, is responsible for the accident. Trifles, by Susan Glaspell, is inspired by a real life murder case in turn of the 20th Century Iowa where a woman murdered her abusive husband. In the play farmer John Wright has been murdered in the dead of winter. His wife, Minnie, is the obvious suspect, but the Sherrif and County Attorney have no conclusive evidence with which to convict her. The Sheriff and County Attorney travel to the farmhouse where the murder took place to look for evidence. They bring along with them the neighboring farmer's wife and the sheriff's wife to collect a few belongings for Minnie, who is currently being held in jail. While the men bluster over "important" matters, the women sift through the "trifles" that the men ignore and solve the case. This play, which was written before women had the right to vote, is now regarded as an important early feminist drama, that talks about the importance of women in society. Frank Tompkin's Sham, is a satire about a seemingly wealthy couple who come home early only to catch a theif in their house. The their, a man of impecible taste tells them that all their "valuables" are phoney and that they have nothing he wants. To save them the embarassment of being the only house on the street that was not robbed by this highly discerning theif, he offers to steal something from them anyway in return for his escape.